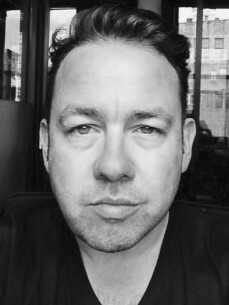 Jonathan Llewellyn is the founder, CEO and President of Get In!, a specialist music publicity company with three offices worldwide. Having previously worked as Head of PR for Most Wanted Global and general manager for superclub Trade, when founding Get In! back in 2007, his mission from the offset was simple - to provide a one-stop 360 PR agency that covered all mediums globally. Amassing a database to dream from, Get In can promote all over the world. Get In! was the first publicity house to champion such a process and within the first year alone it proved itself to be a winning formula. Each and every one of his publicists has been hired from an internship program he formulated himself. The Get In! roster past and present is testament to Jonathan’s 110% attitude to everything that Get In! achieves. Every client is given the same attention with notable major success stories including Avicii, Tomorrowland, the continuing global expansion of Ultra Music Festival, Armin van Buuren, Porter Robinson, John Digweed, Fedde Le Grand, Sander van Doorn, Jimmy Page, Arty, Axwell, Ferry Corsten, Nicky Romero, Kygo, Markus Schulz, Martin Solveig, Rusko and Sander Kleinenberg to name just a few. Universal Records, Sony Music, EMI, Warner Music are just some of the labels Get In! has serviced, and all this in the relatively short space of 8 years. Jonathan and Get In! have thoroughly revolutionized the way publicity companies view their role in the industry, exceeding the boundaries of client expectations and raising the bar on expected campaign results in all areas.